In this interdisciplinary article, Jack Thomas explores the promise of virtual reality technology and what it may offer to the world of art. While having existed in one form or another for a few decades now, commercially available Virtual Reality (VR) achieved a huge technological leap in 2016 that has continued into 2017. This was the year of the release of three VR headsets and controllers from three major companies: Sony, Oculus (now owned by Facebook), and Vive, in conjunction with HTC. Alongside these technologically advanced headsets were smaller, cheaper, but still effective releases from other major companies like Samsung and their Gear VR, and Google’s ‘make your own’ VR with Google Cardboard. In the VR provided by Sony, Oculus and Valve, the user can physically navigate their environment with their body, as well as pick up and interact with objects in the world around them using controllers that appear in the virtual world as their hands. Some setups, such as the Oculus Touch controllers, are designed so that their use is as intuitive and as natural as using one’s own hands to maximise the user’s sense of immersion. Others, such as the “PSVR Move” controllers, are shaped more like television remotes and are thus slightly less natural – one of the reasons it received a more lukewarm reception. Prior to release, VR companies hosted demos of these headsets where journalists were free to fling their limbs in VR without worry about the real reality around them. Said journalists expressed real excitement for the technology presented to them: VR was coming, and it finally worked as intended. It was an exciting prospect for many, and many were excited to see the effect that a series of commercially available, ideally functioning VR headsets would have on art, technology and beyond. 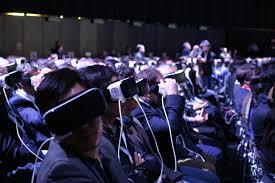 Since the release of these headsets, the interest and investment from several industries has turned to VR. The simplest and most common application of VR is 360ᵒ movies. 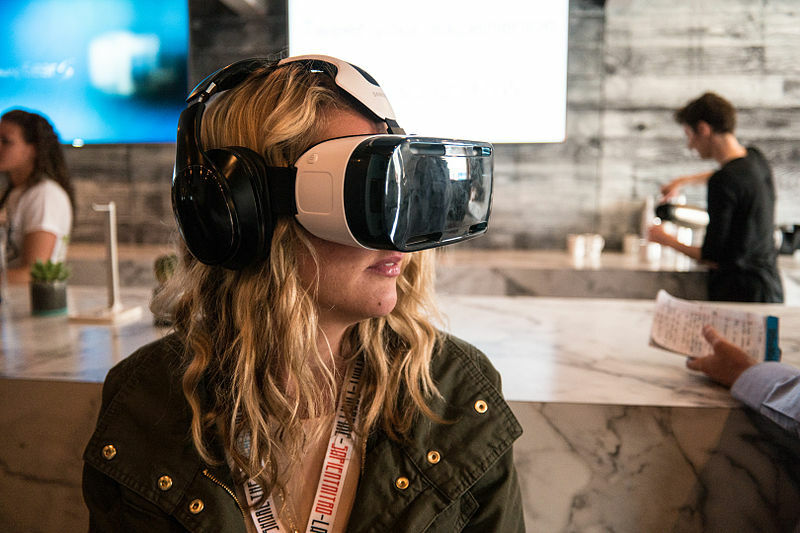 Using a VR headset, the user watches a video that has been shot with a 360ᵒ camera, meaning they can turn their head and watch the movie from any perspective they like. Several industries are experimenting with this application of VR, such as television, music, film, and even the adult film industry. While these all offer immersion and spectacle in their own way, they lack any interactivity beyond where you point your head to look. They also carry with them a huge shortcoming that can undermine the techniques used by conventional film makers: with the user choosing where to look, they could miss what the creator wants them to see and would normally point them towards. Not all VR is 360ᵒ movies, however. In fact, the industry that is putting the most effort into VR experiences, where the user interacts with their virtual environment, is the video game industry. 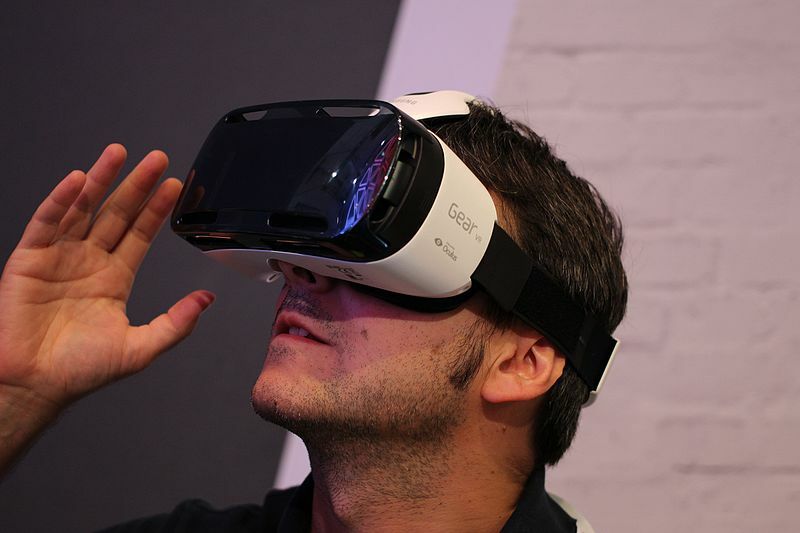 This industry has a long history of making interactive experiences in virtual worlds. There are classic shooters like Space Pirate Trainer, where the user uses the controllers in each hand as guns and shields, physically aiming and lining up their shots like they would a real gun, while dodging incoming fire from the virtual enemies circling around them by physically moving their body. There are sandbox experiences, such as Job Simulator, set in a far flung future where robots have taken all jobs and we now experience them as simulations in museums, trying to convey, to an often comedic effect, what humans used to do. In games such as these, almost everything in the environment can be picked up, prodded and interacted with, often to hilarious results. Some companies, such as THE VOID, take this concept one step further by building a physical space that lines up with the virtual one the user experiences. This means a user reaching out to touch a chair in VR will feel a real one in its place, heightening the immersion. When it works, there is a real sense of presence as everything you do in the environment elicits a reaction. But some of these experiences have their own drawbacks by virtue of them being games. A game often has rules, goals and objectives to guide and reward the player. Without these, an experience can feel aimless. But with them, the freedom of interactivity can sometimes be greatly reduced. When you go to pick something up and find you can’t because the game doesn’t want you to out of fear of breaking its rules, it can take you right out of the experience. Interactive software also exists for purposes other than gaming. For example, Google Earth VR allows you to “fly around” and explore the entire earth in Virtual Reality. Google Earth has existed for years but it is something else entirely to be inside it, shooting around at high speed and realising how small the world really is. It can also provide a space in which to make art, like Google’s Tilt Brush that allows you to create 3D paintings, and Soundstage which lets you create music with virtual instruments and production technologies. Then there are the VR experiences where a user interacts with other people, also in VR. THE VOID’s experiences can be done in groups where users see each other in VR as they wander their sets, but then there are virtual spaces where the inhabitants could be physically anywhere in the world. Games such as Rec Room, which describes itself as a “virtual reality social club”, is an example of this, providing a place to socialise in VR. At best, such games encourage a sense of natural play with other people that would normally be found on the playground. One person may pretend to shoot a gun, and another might then fall to the floor pretending to have been shot, except these two people might be in different countries, rolling around their respective living rooms. One play action from one person sparks a play reaction from another, like any play activity, but instead across thousands of miles. It holds huge potential, but is extremely varied, depending on the people playing it to provide the sense of play and fun. There have been many impressive uses of VR already, and the recent investment from various industries in this relatively fledgling medium can only help its progression, but more collaboration is needed between these industries. VR is a new medium, and any attempt to transplant the rules and methodology of an existing medium, whether film, videogames or music, onto it does not fulfil its potential. New approaches must be devised, through experimentation and collaboration across the architects of various media. Rec room, for example, gives space for users to play with each other, to incredibly rewarding results. If it cooperated with the performance industry, utilising real live actors in the place of the public, it might provide the guiding interaction that would facilitate a narrative in VR. New stories could be told that are inhabited by and reactive to the user, supported by actors, writers, composers and game designers. The medium of Theatre was once described as a “hypermedium” by Chiel Kattenbelt, meaning it integrates several art forms and media into itself such as performance, film, music and emerging technologies. The same is true of VR. It is evident, then, that for its true potential to be realised, it must not borrow solely from theatre, film, literature, or videogames, but all media to be able to create new forms of art. Jack Thomas is a new arrival to the University of Warwick working towards a Masters in Performance and Theatre Research. He has a keen interest in the effect that emerging technologies have on art. Chiel Kattenbelt, ‘Intermediality in theatre and Performance: Definitions, Perceptions and Medial Relationships’, in Cultura, lenguaje y representación / Culture, Language and Representation, 6 (2008) 19-29 (p.23).